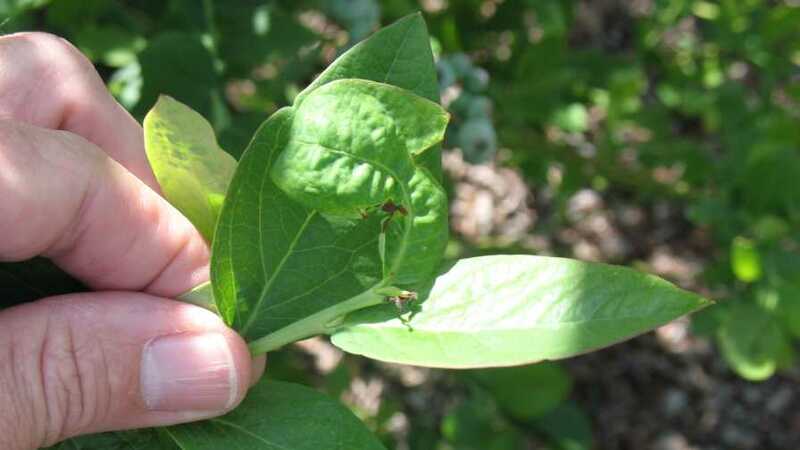 Deformed leaves are one sign of damage and the presence of blueberry gall midge in the field. 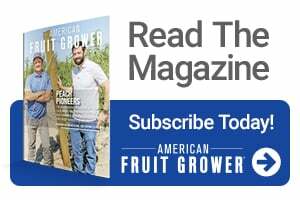 Blueberry growers throughout Florida experienced high blueberry gall midge damage during the spring 2018 growing season. The damage appears to be more pronounced in the Central Florida counties of Sumter, Citrus, Hernando, Lake, Hillsborough, and Polk, as well as the north-central counties of Alachua, Bradford, Putnam, and Marion. Many growers saw good flower set, but most of the flowers either failed to produce fruit or produced small fruits that fell off the bush. The adult blueberry gall midge is slightly smaller than a mosquito and becomes active when the temperatures exceed 60°F. It appears that mild winters characterized with cool and warm spells facilitate high midge activity. In Central Florida, the adult fly becomes active in late fall (November to December), and peak activity appears in January and February. In North-Central Florida, the adults are active in November; however, the cool December and early January can negatively affect midge population. Peak activity in north-central Florida occurs in late February to March. The adult fly only lives for two to three days; females are larger than males reaching a size of 2 mm to 3 mm. A single female is capable of laying as many as 15 eggs per flower bud. The female forces its ovipositor (egg-laying tubular organ) between the folds of developing leaves and flower buds to lay eggs. Newly laid eggs appear as tiny white cylindrical structures that are approximately 0.25 mm long. Eggs are best observed only with a 10x or higher magnification hand lens. In two to three days, eggs hatch into young larvae that are only 0.7 mm in length. The larva is translucent to white in color for the first three to five days, eventually turning orange when it matures in about eight to 10 days. The larva passes through three instars and, during this time, feeds on the interior of floral bud tissues inducing necrosis, brown lesions, and bud abortion. Alternatively, when the larva feed on vegetative buds, this results in misshaped and deformed leaves. Tip-burn is also a common feature in fields where gall midges have fed heavily on vegetative buds. During harvest, the midge population typically decreases — partially due to sprays for other invasive pests such as spotted wing drosophila and blueberry maggot. There also are fewer resources (developing leaf and floral buds) that the female midge utilizes for egg-laying purposes. After the harvest season is completed and the pruning of southern highbush begins, there can be a resurgence in midges. This population only affects the vegetative buds in early summer and generally is lower than the spring and fall population. This phenomenon allows blueberry gall midge to be referred to as a cool-season pest. Newly pruned blueberry bushes create flushes of folded leaves that adult females use for egg laying. There could be as many as six generations of midge per year in Florida (three in the spring, two in the fall, and one in early summer). The key to managing blueberry gall midge is careful and early monitoring. It is important to use tools that will detect the midge early in the season. A white bucket trap with a sticky Plexiglas top placed under bushes in direct contact with soil or pine bark can detect adult midges when they begin to emerge early in the season. Clear, sticky traps hung on the sides of the blueberry bushes can monitor adults that are flying in the bushes. Both traps are relatively simple to make. The bucket trap is essentially an inverted five-gallon bucket with Plexiglas replacing a portion of the bottom. The Plexiglas faces upward toward the light; whereas the clear plastic sheet (1 foot by 1 foot) is a sheet made from plastic that has tangle-foot (sticky glue) and a string or tie-wire to attach it to the bush. The reduced-risk pesticide, Delegate (spinetoram, Dow AgroSciences) is used for midge management when pollinators are present in the field. Once you allow Delegate to dry for three hours, it has only a limited effect on bees. Delegate will kill adult midges; however, the pesticide has a relatively short residual activity. You will need to re-apply weekly if pollinators are present. The fact adults live for such a short time reduces this pesticide’s effectiveness. Neonicotinoids (imidacloprid) such as Assail (UPI) and Admire Pro (Bayer) perform better on midges, but they cannot be used when pollinators are present in the spring. These pesticides have systemic activity and can kill larvae hidden between the bud scales. Two relatively new insecticides that are fairly effective against midges are Exirel, with the active ingredient Cyazypyr (cyantraniliprole, FMC), and Movento, (spirotetramat, Bayer). These insecticides have systemic and translaminar activity that can target both the larvae in floral and leaf buds as well as the adults. Please read the label and follow directions for rates, frequency of application,and restrictions. 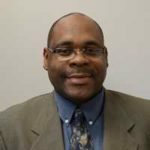 Oscar E. Liburd is a professor of fruit and vegetable entomology at the University of Florida in Gainesville. See all author stories here.